Argentina is a country which is vast, beautiful, and culturally rich. For students who are looking to study abroad in South America, Argentina is the perfect choice. It offers everything from stunning ecosystems and landscapes to vibrant and humming cities. While studying in Argentina, you’ll get to enroll in world class programs, get the education you want, and explore all of the many treasures that this South American country has to offer. Located at the bottom of South America, Argentina is the second largest country on the continent and the eighth largest country in the world. Despite being located in the heart of Latin America, Argentina boasts a distinctly multicultural flare. This is due to its large population of immigrants. Anyone who chooses to come to Argentina is in for the adventure of a lifetime. Here, you’ll find some of the most breathtaking natural environments in the world in addition to lively and thriving cities. The Argentinian landscape is vast and varied; from the unforgettable vistas of Patagonia to crystalline streams, the highest peaks in South America to dense forests, the environment here is full of natural wonders. In addition to boasting beautiful landscapes, Argentina also has some incredible cities. The country’s capital, Buenos Aires, is one of the liveliest South American cities and a hotspot for people from all over the world. Here you’ll get the chance to explore humming plazas, learn how to tango, and enjoy some of the most delicious steaks you’ll ever taste in your life. If you’re looking for a place which is multi-cultural and has a lot to offer Argentina is guaranteed to keep you engaged and entertained. With a country this large and diverse, the only way to truly sink your teeth into all that it has to offer is to stay for an extended period of time. Studying Abroad lets you do just that. Argentina is a very large country. Unless you’re fluent in Spanish, there are certain regions where you won’t be able to live for practical purposes. That’s why it’s important to choose a city in which English is spoken and well understood. Known as the ‘Paris of South America’, the capital of Argentina is a rich melting pot of cultures, flavors, and traditions. Within a thriving cosmopolitan setting you’ll get to experience the best that Argentina has to offer, from all of the delicious foods and wine, tango clubs, historical buildings, art, language, and so much more. The second largest city in the country, Cordoba is located within the beautiful rolling hills in the middle of Argentina on the Suquía River. From this central location, you’ll be able to easily explore the rest of Argentina. Located on the foothills of the Andes, this quaint and charming city is considered one of the most beautiful cities in all of South America. This location is perfect for those students who are interested in pursuing outdoorsy studies. Every year, about 90,000 international students come to study in Argentina. This makes it one of the largest destinations in South America for study abroad programs. Spanish - Argentina is one of the largest Spanish speaking countries in the world and is therefore a prime destination for foreign students to learn Spanish. However, in Argentina a unique form of Spanish is spoken which is distinct from that of other Spanish speaking countries. If you’re looking to build up some auténtico Spanish language skills, there’s no better place to do so than Argentina. Art History – One of the most immersive places to study a subject like art history, Argentina offers many different options in this field. Economics, Business, Finance, or Trade – Argentina has a strong economy and is an economic leader in Latin America. Studying these subjects here will give international students the unique opportunity to see how Latin American players affect the global economy. Due to Argentina’s large size as well as the variations in altitude, there are many different weather conditions and microclimates in the country. The northern regions of the country are subtropical and are therefore more hot and humid, and experience greater rainfall. In the central part of the country, the climate is generally pleasant and temperate, but can get very hot in summer and very cold in winter. In the south, you have the sub-Antarctic regions of the Patagonian Sea where it can get quite cold. Seasonal and day to day variations are very common making Argentina’s weather a little difficult to predict. If you’re a meat-lover, you’ll adore living in Argentina because meat is an integral part of every meal and menu in the country. If you’re a vegetarian, you may have a hard time avoiding all the meat. While in Argentina, be sure to sample of the many delicious foods that the country has to offer. Just a heads up, when eating out, you’ll be charged a cubierto fee or sit-down fee. Also, be sure to avoid tap water and ice. As for Spanish, the most widely spoken language in the country, Argentina’s take on it can be distinguished from that of other Spanish speaking countries. Since there was such a large population of immigrants, the Spanish spoken here is very influenced by their dialects and pronunciations. There is so much to do in Argentina; you might want to plan out all of your free time in order to make the most of your stay in the country. Any individual who enters Argentina will initially do so as a tourist. Tourist visas are obtained on site upon landing in Argentina. 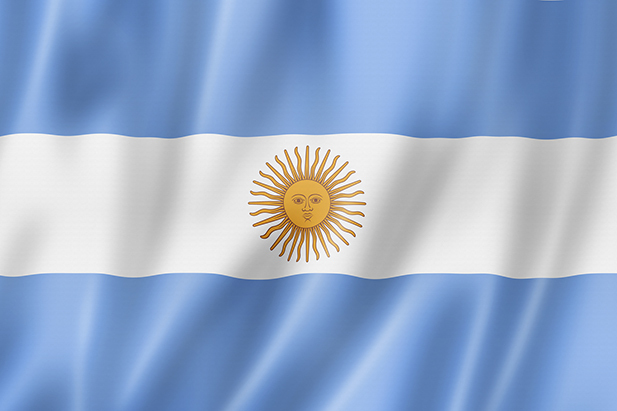 Be advised that all U.S. citizens who travel to Argentina are required to pay a Reciprocity Fee of USD$160 to Argentine Migrations online before boarding a plane to Argentina. The receipt for this fee must be shown at the airport prior to boarding and may be used multiple times to enter Argentina over the lifetime of your current passport. If you’re coming to Argentina for a summer program or a short intensive course, you can obtain a tourist visa which is valid for 90 days. You do not need to supply any additional documents; just the receipt for the Reciprocity Fee. For academic programs which are for a semester, a full year, or longer you will need to first obtain a tourist visa as described above. Once successfully in Argentina, you will need to make a request for a student visa within the first 30 days of your arrival at the Dirección Nacional de Migraciones. It’ easy to see why Argentina is so popular with international students; with its beautiful natural landscapes, rich culture, delicious foods, thriving cities, and excellent programs, who wouldn’t want to come here? Studying abroad in Argentina is guaranteed to be an exciting, rewarding, and life-changing experience for all those brave enough to venture to the ends of South America.